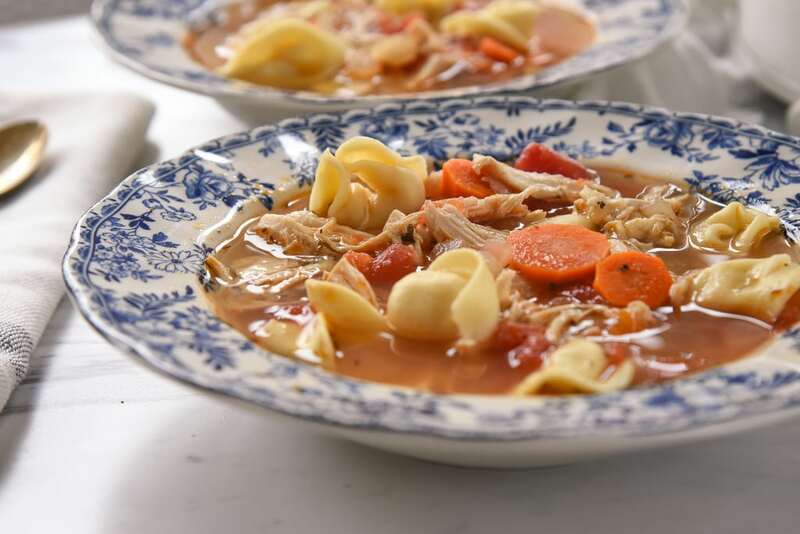 Slow Cooker Chicken Tortellini Soup is a fun twist on the traditional chicken noodle soup. 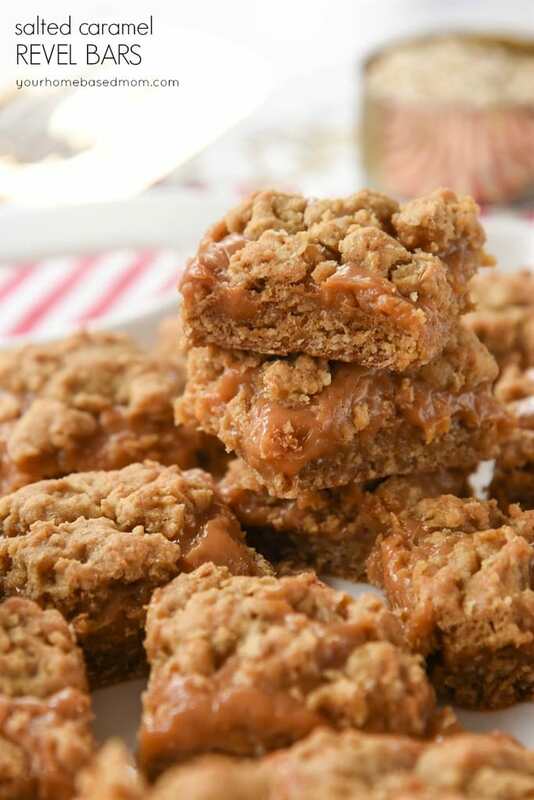 It’s the perfect comfort food to make in the crock pot. When cold weather hits, it is time to break out all of your best soup recipes. 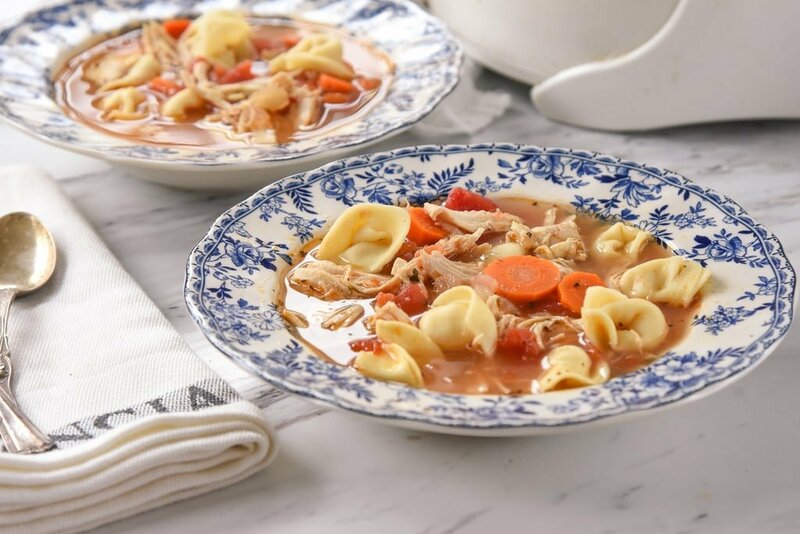 This chicken tortellini soup is one of my favorite ways to switch up a favorite recipe. If you love chicken noodle soup, bring a new dimension to it by replacing the noodles with cheese tortellini. 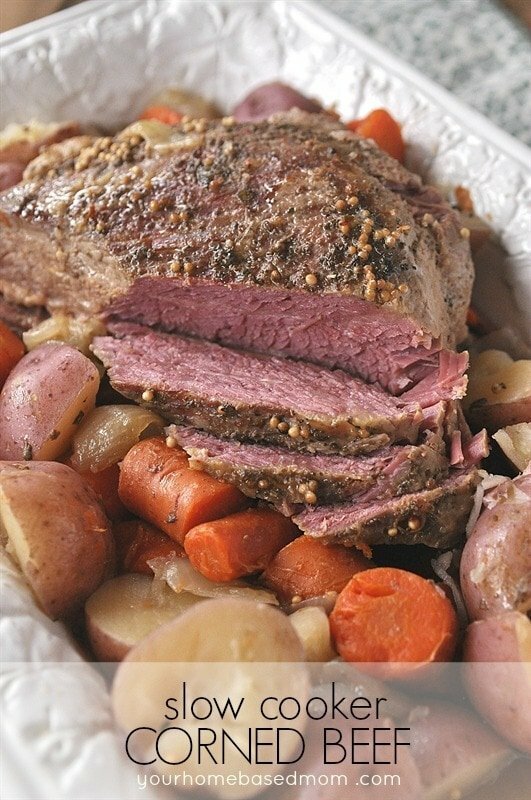 And to make it even easier, this recipe is made completely with your slow cooker. 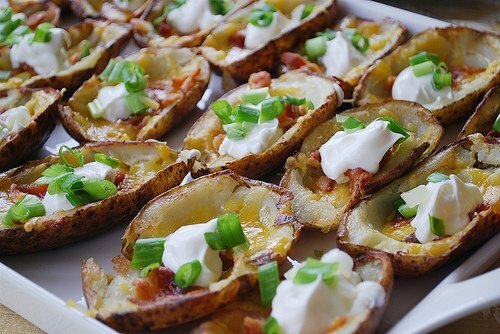 This is also a great recipe to use up leftover chicken or leftover turkey if you have it on hand. 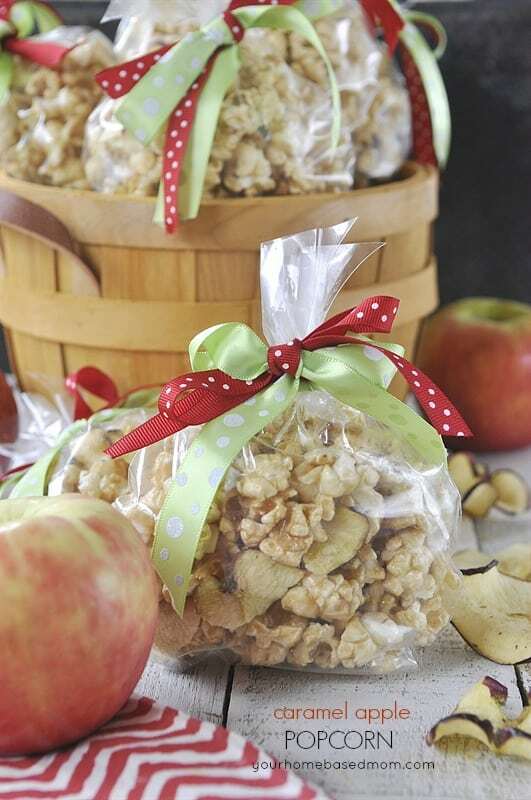 So after you try it and love it, earmark this recipe to make with your holiday leftovers! 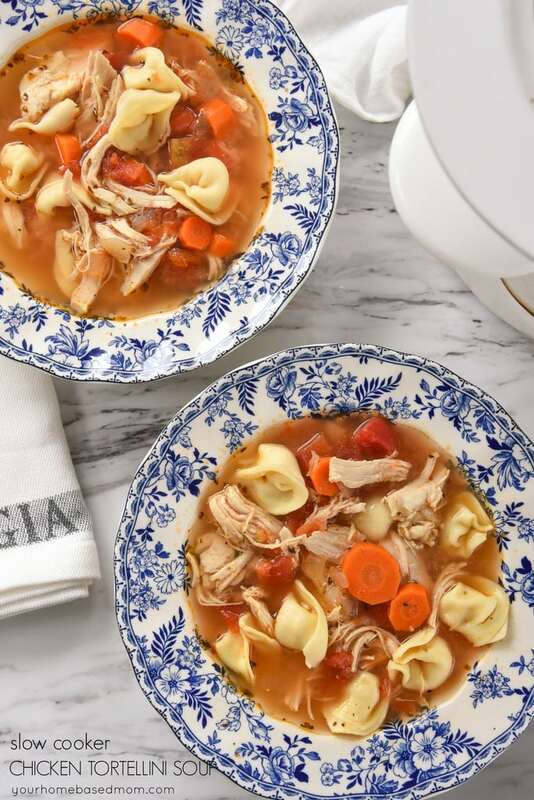 This slow cooker chicken tortellini soup is a complete meal. 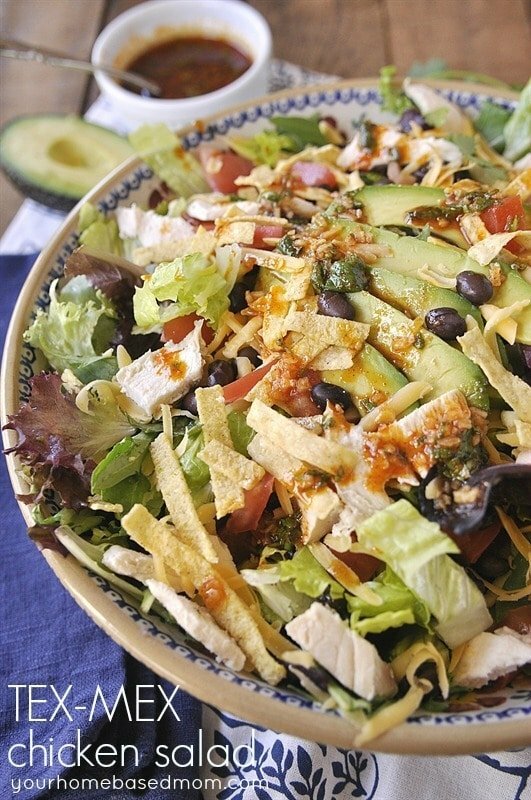 You’ve got your protein, your veggies and your starch. I do like to add in some nice crusty French bread which is perfect for dipping up the extra broth out of the bowl! 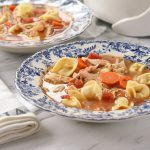 Slow Cooker Chicken Tortellini Soup is a fun twist on the traditional chicken noodle soup and it's the perfect comfort food. 3 boneless, skinless chicken breasts about 1 lb. Cook on high for 3 hours or low for 6 hours. Remove chicken and shred. 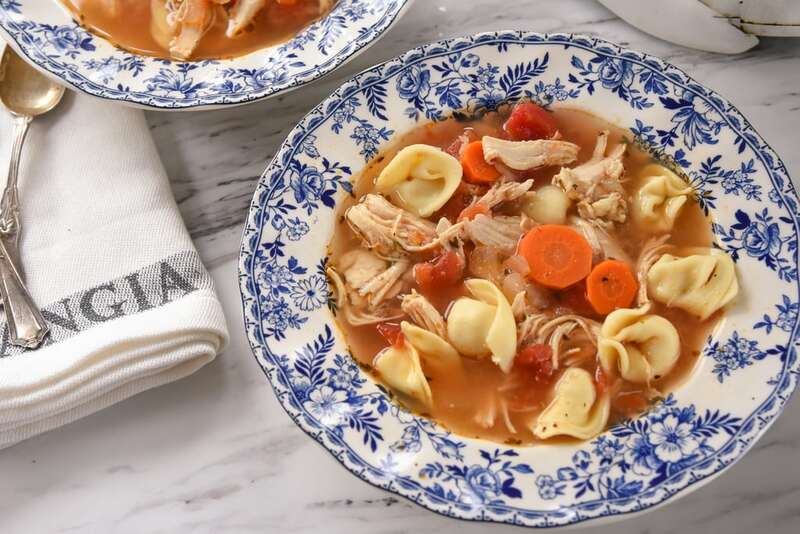 Return chicken to slow cooker and add cheese tortellini. Cook for an additional 30 minutes and serve. Just checking – think your times are switched! 3 hours on low or 6 hours on high?? Yes – I got them switched. Thanks!! Did you mean cook on low 6 hours or high for 3 hours? I did – thanks for catching that. Made the change. Is the tortellini fresh or frozen?